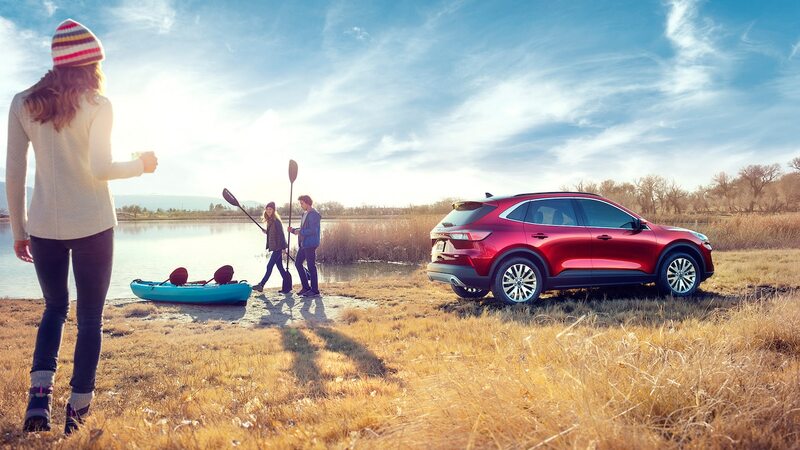 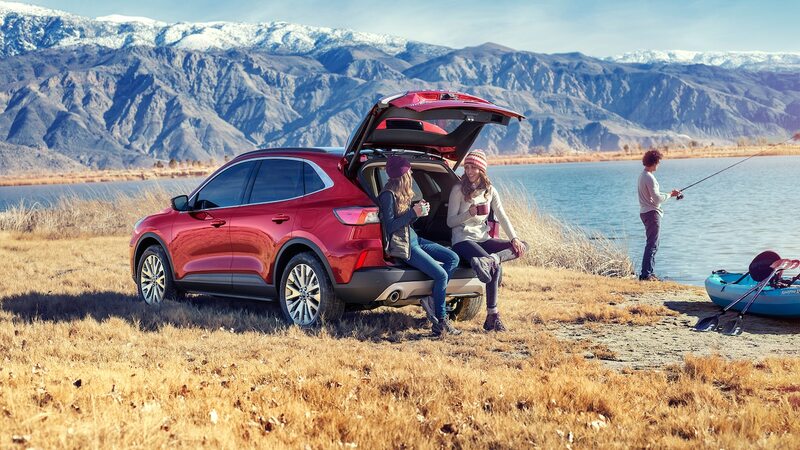 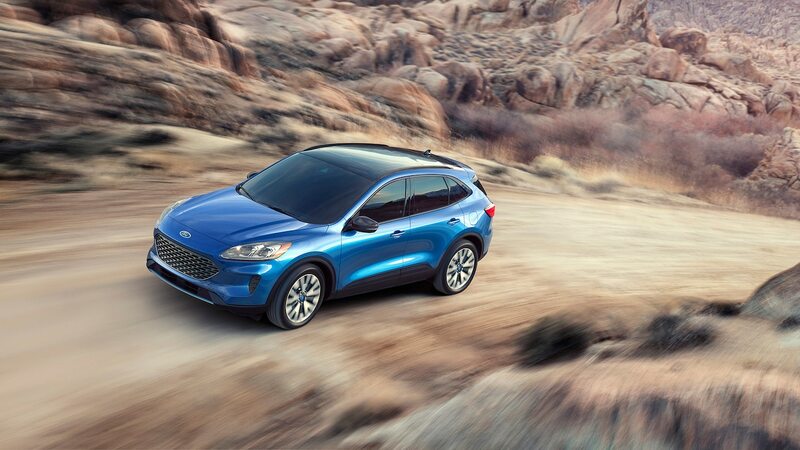 How does the redesigned crossover compare to its predecessor? 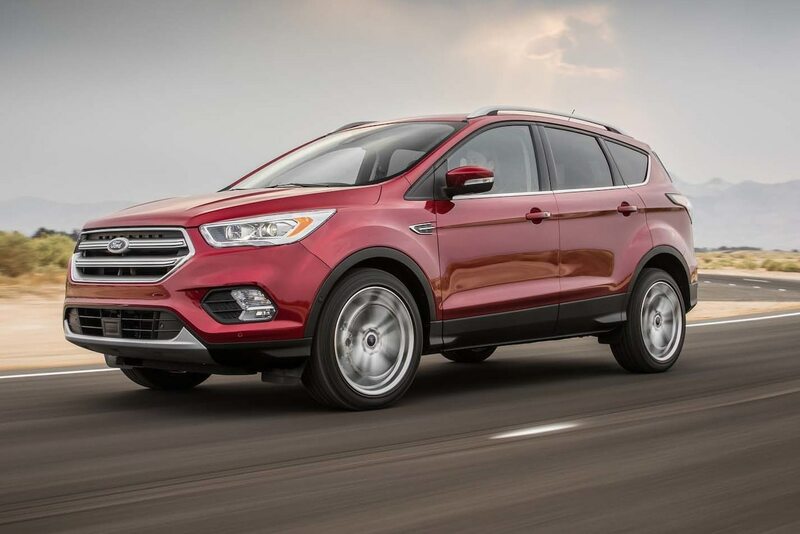 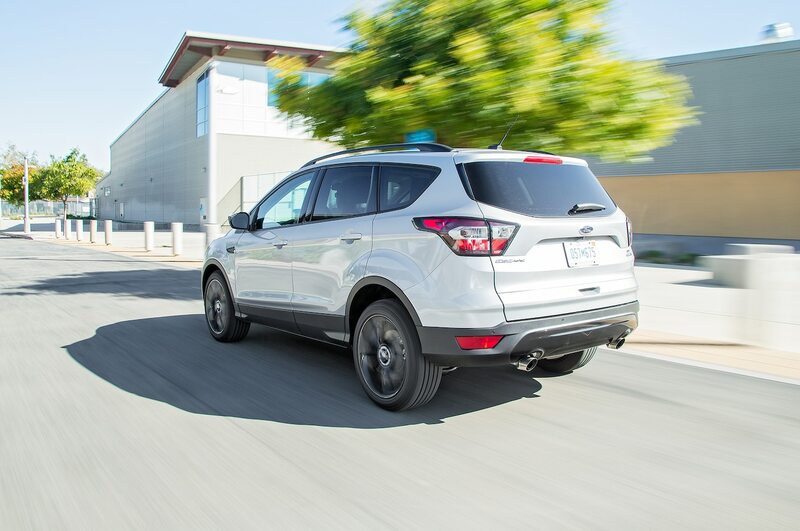 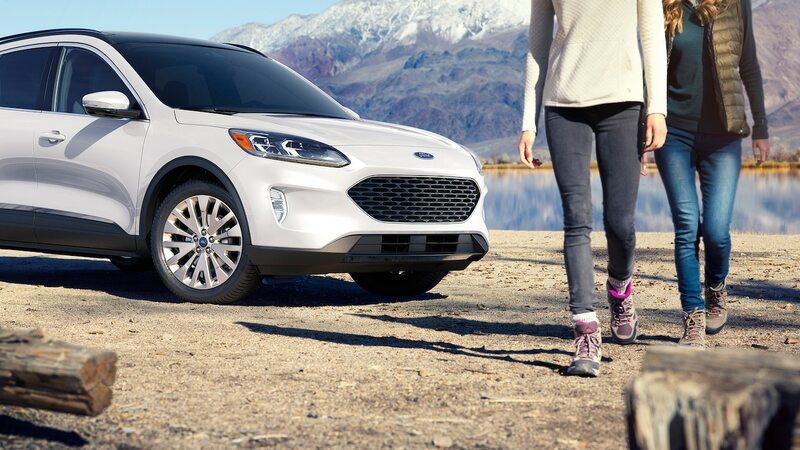 Ford is positioning its fourth-generation Escape as a crossover for urbanites. 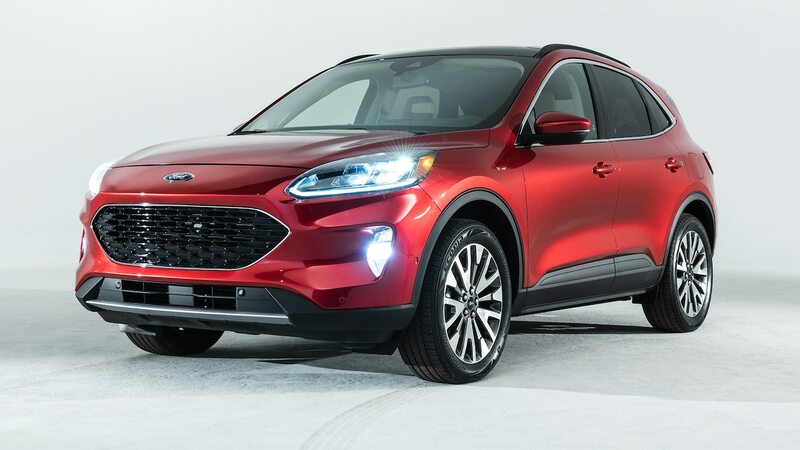 Not only does the model gain hybrid powertrains and more cabin technologies, but it also looks more carlike than its predecessor, which will help differentiate it from the upcoming Baby Bronco that will be similarly sized. 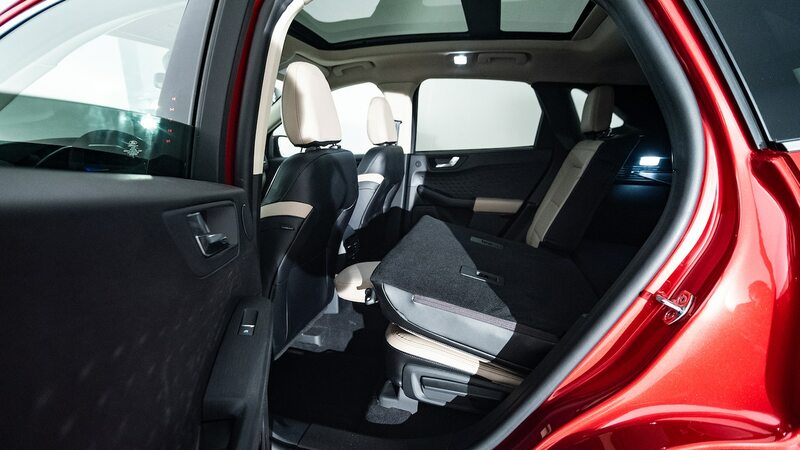 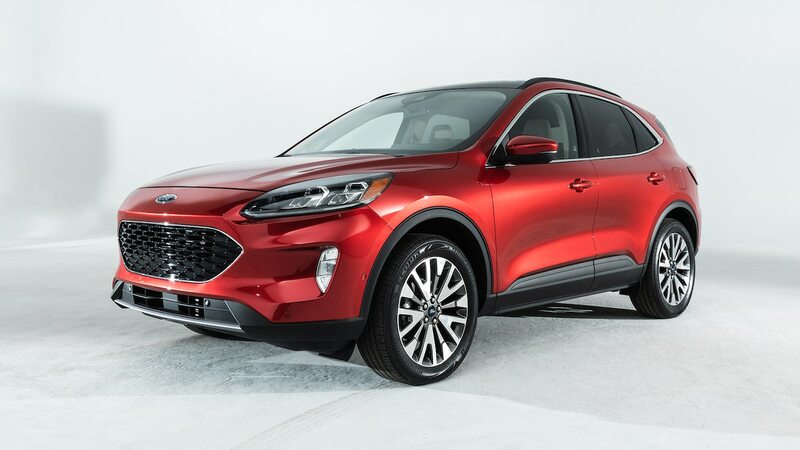 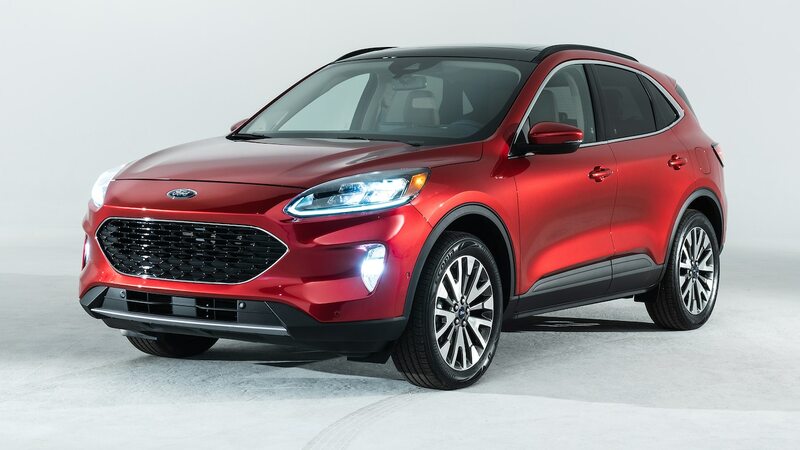 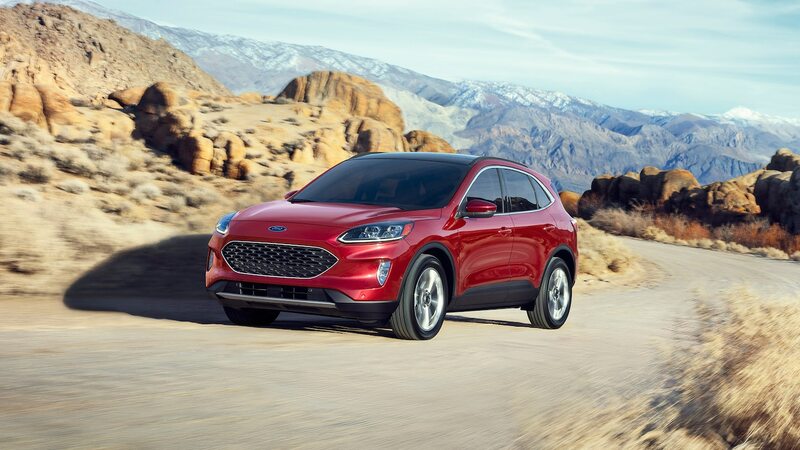 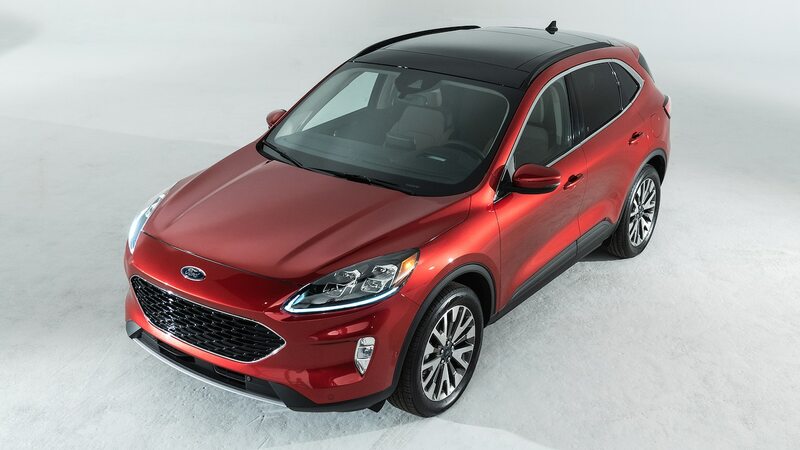 It’s clear that the 2020 Ford Escape feels younger and fresher, but has it strayed too far from its roots? 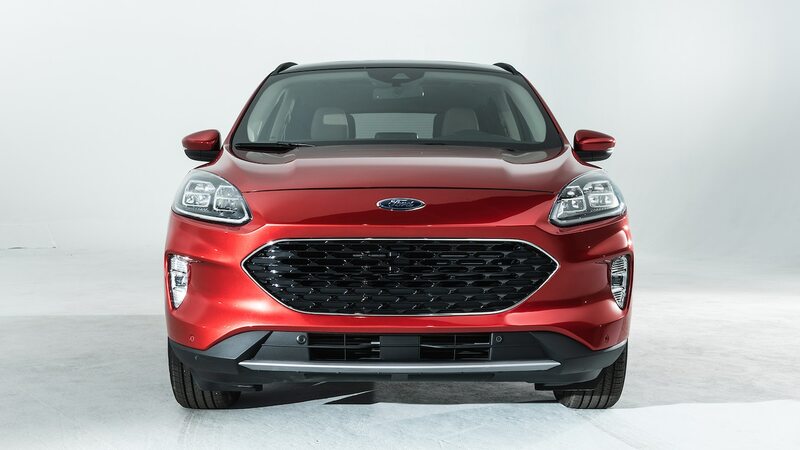 Up front, the new Escape looks a lot like the Focus hatchback. 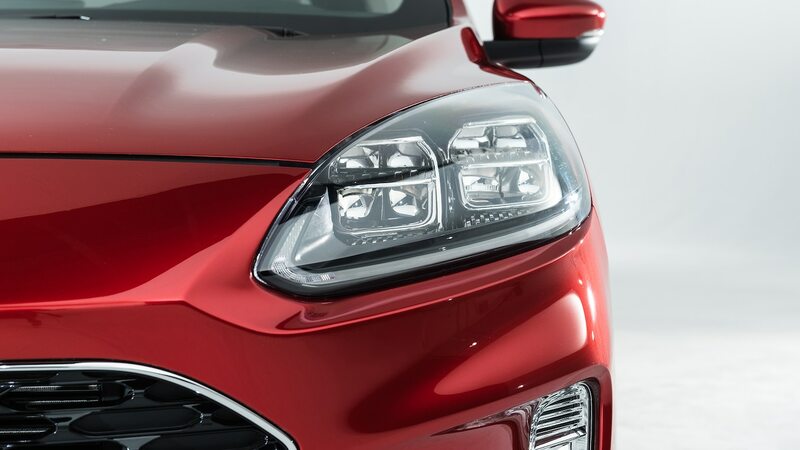 The shape of the headlights and grille are highly reminiscent of the compact economy car that’s no longer sold here. 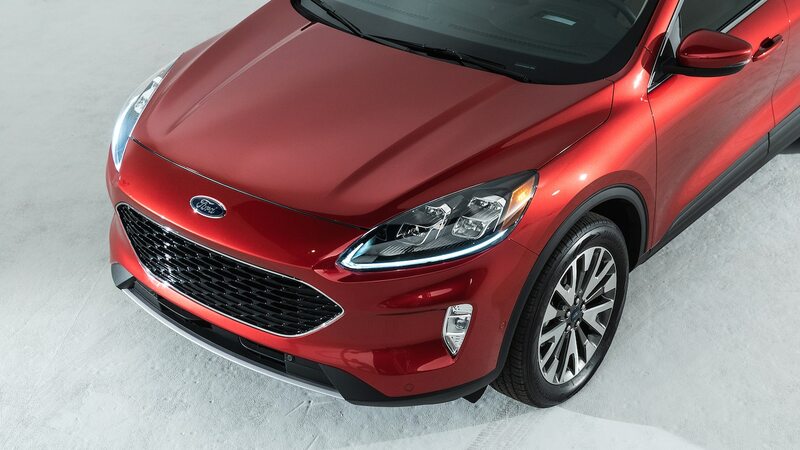 The front end is lower overall, contributing to its carlike look. 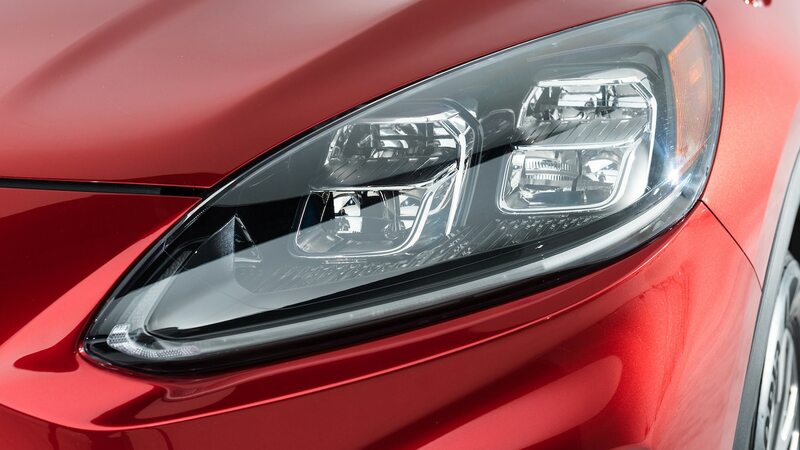 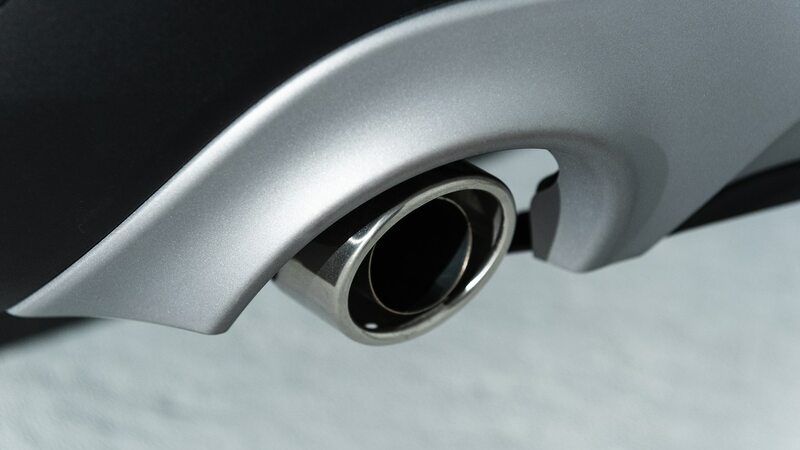 A new, thin light signature makes an impression on more rounded headlights. 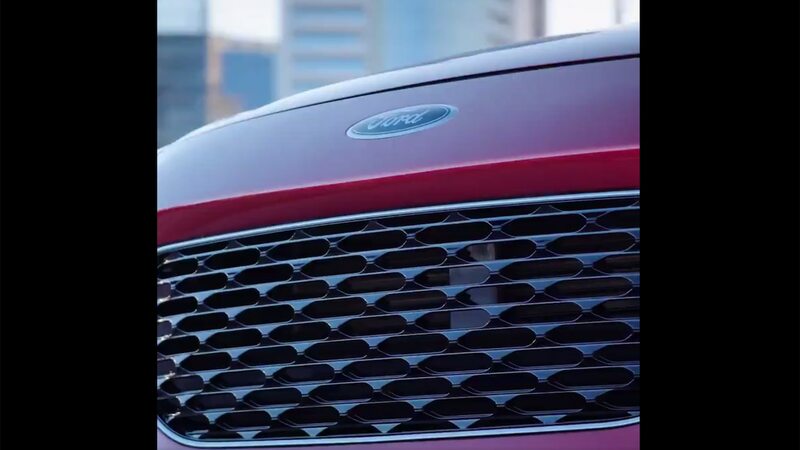 The badge no longer sits smack in the middle of the grille; it now takes a more subtle positioning higher up on the front fascia. 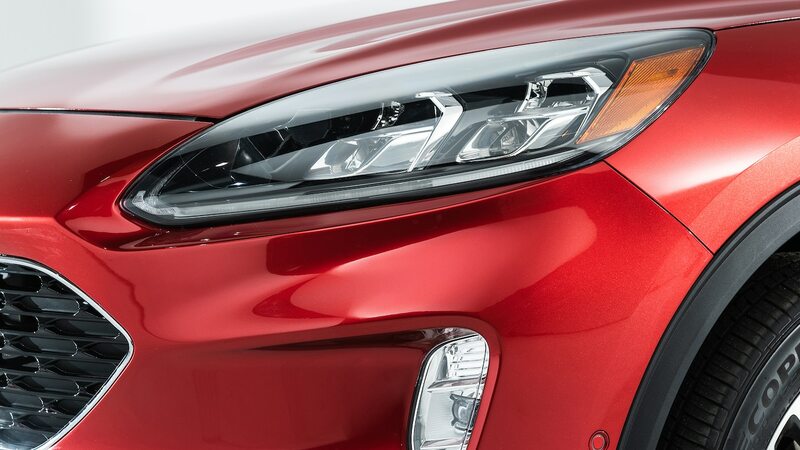 The hood shut line is higher than before, too. 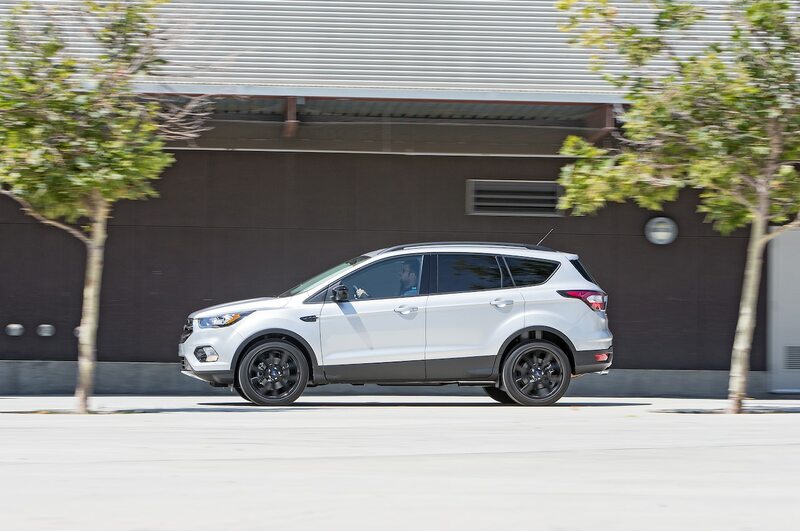 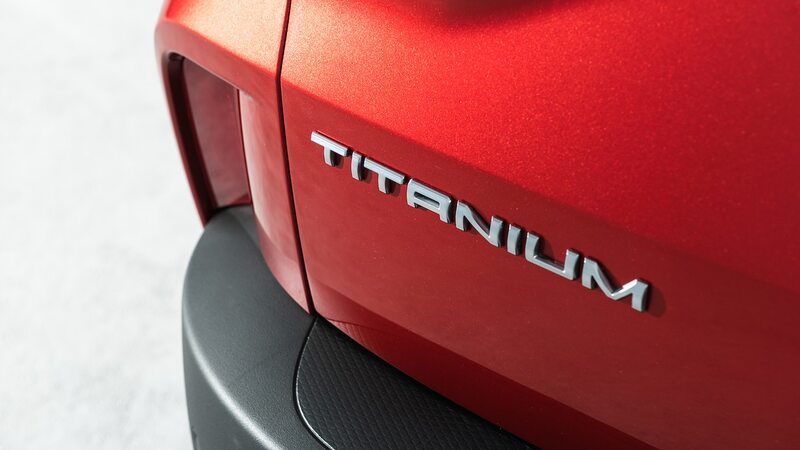 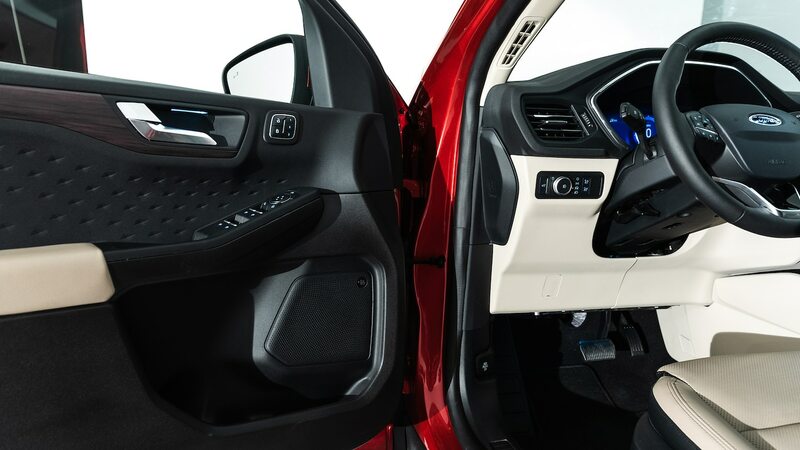 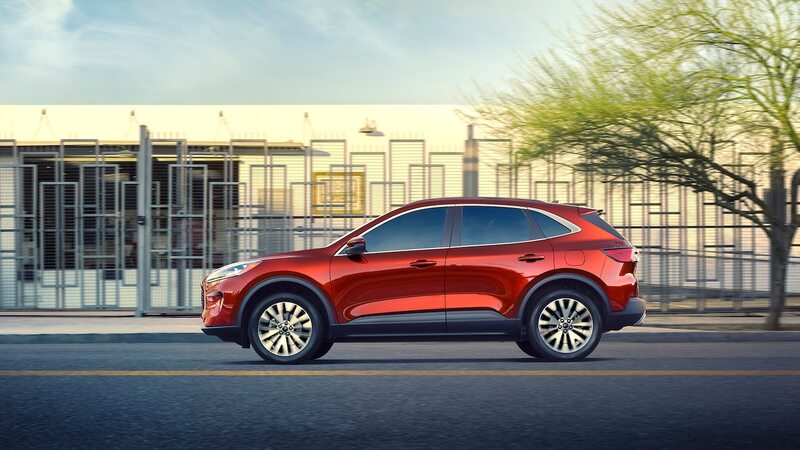 Look at the new Escape from the side profile, and you’ll notice softer character lines that run across the doors. 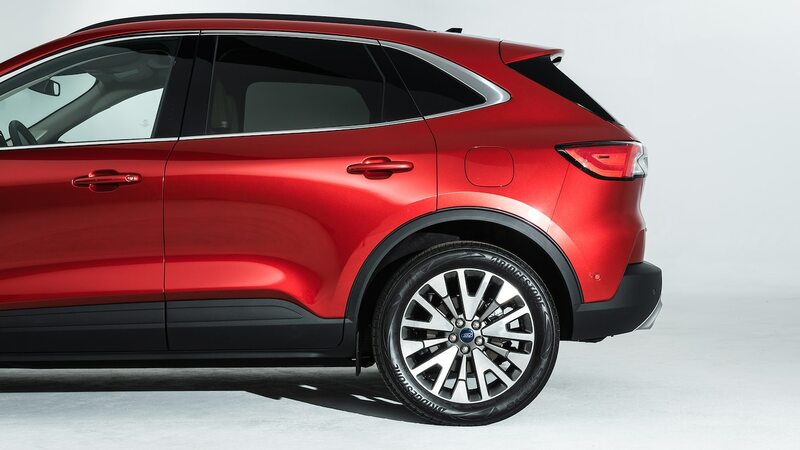 The shape of the body cladding has changed, along with the shape of the windows. 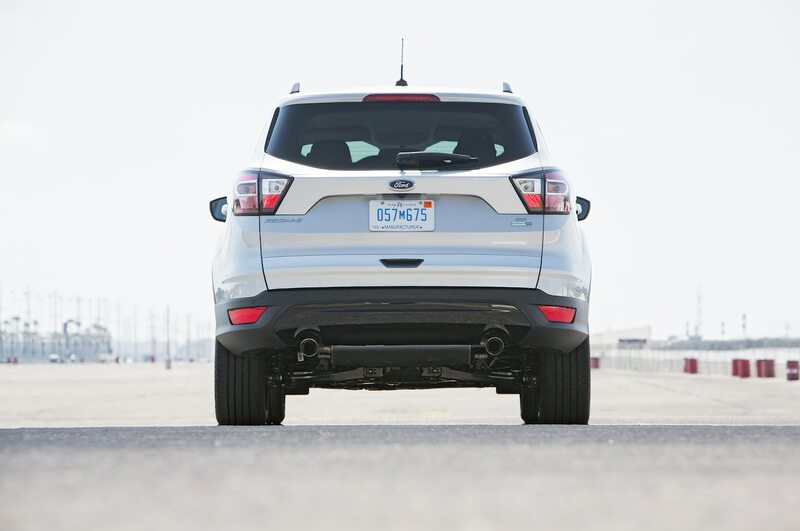 The rear end looks more upright than before from this angle as well. 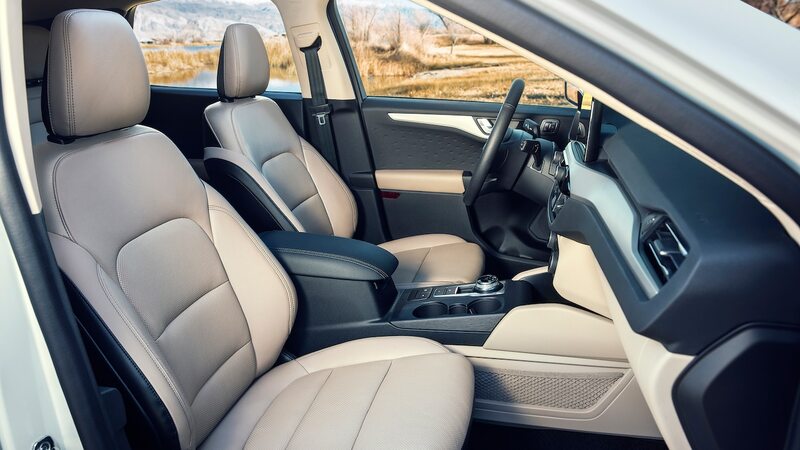 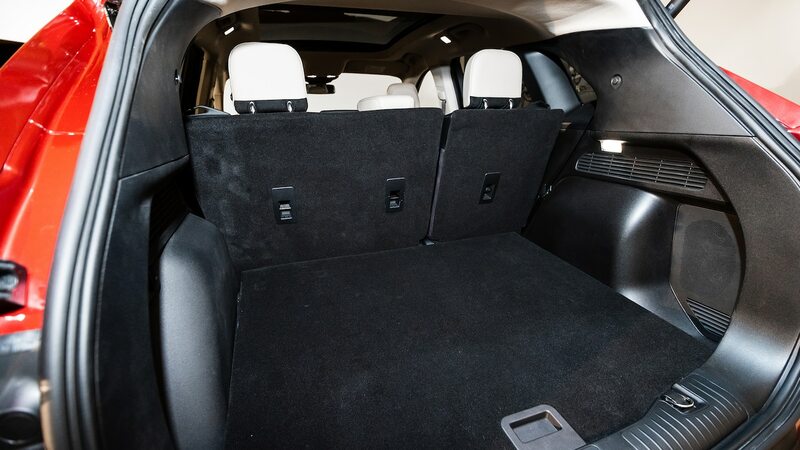 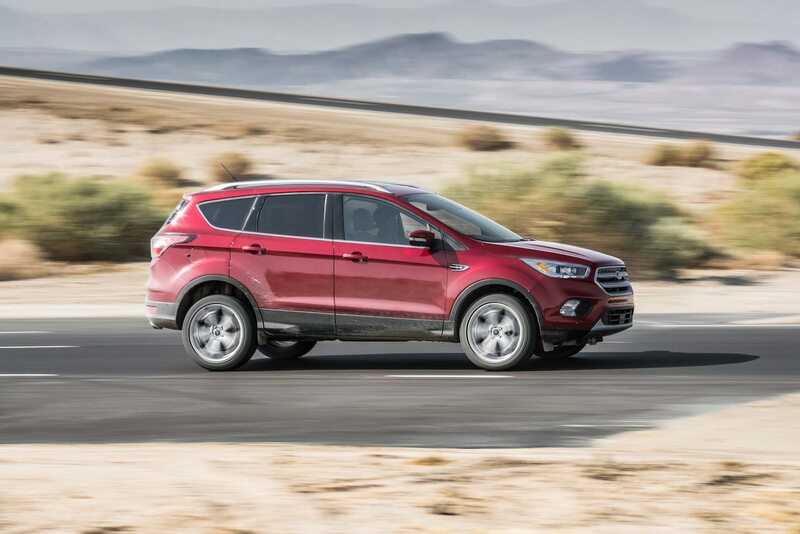 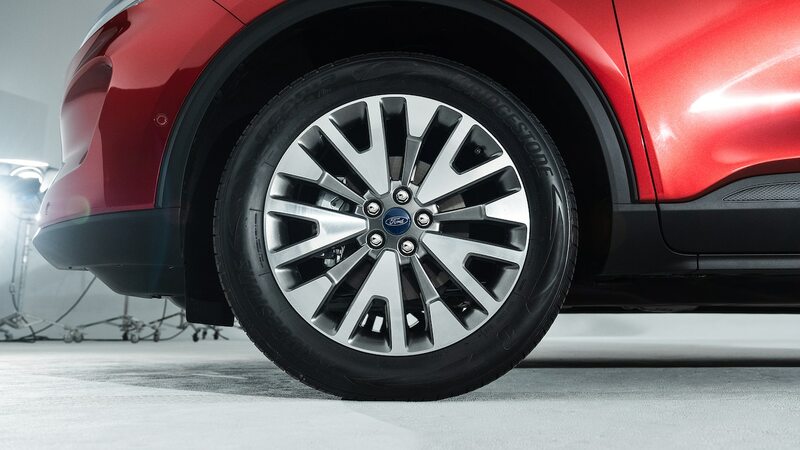 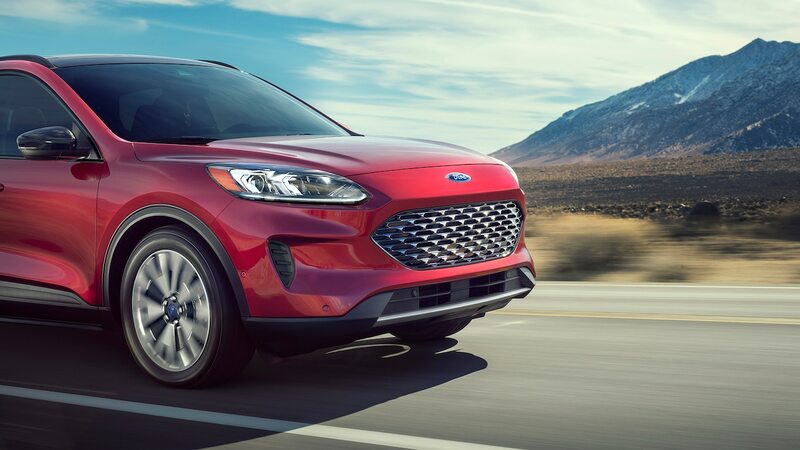 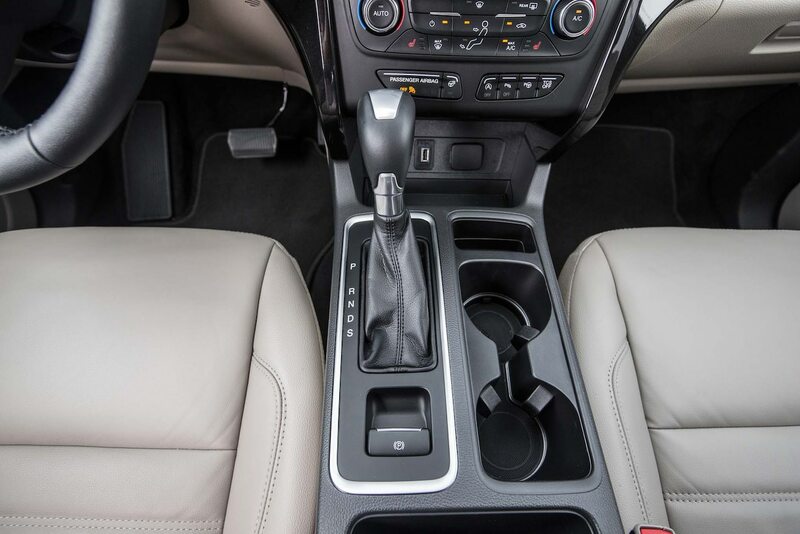 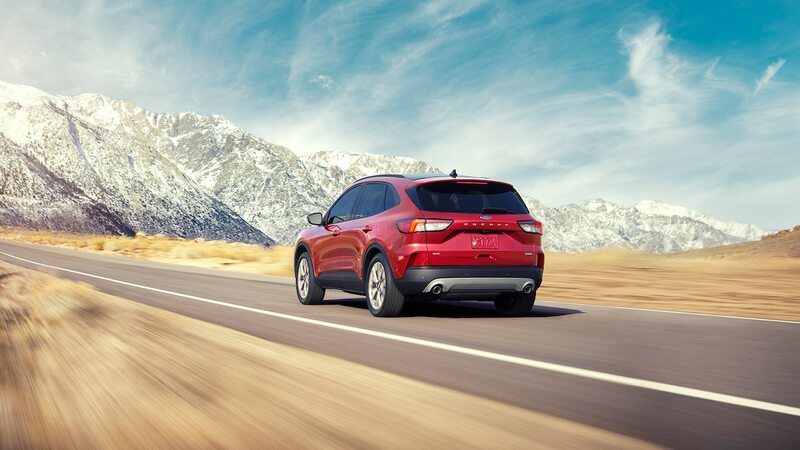 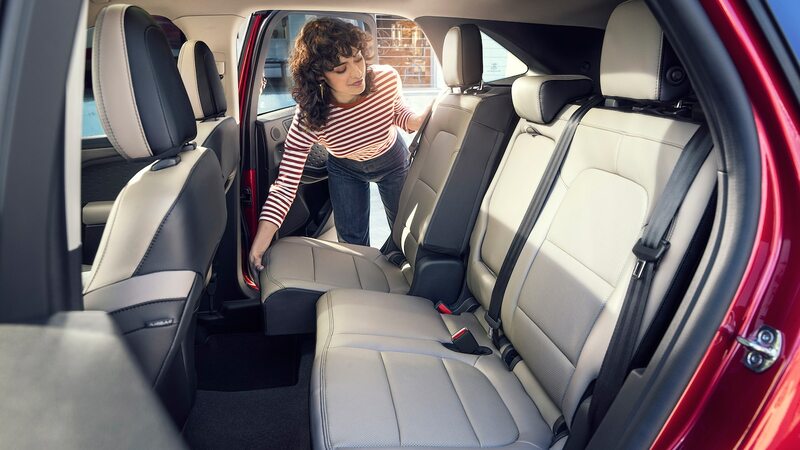 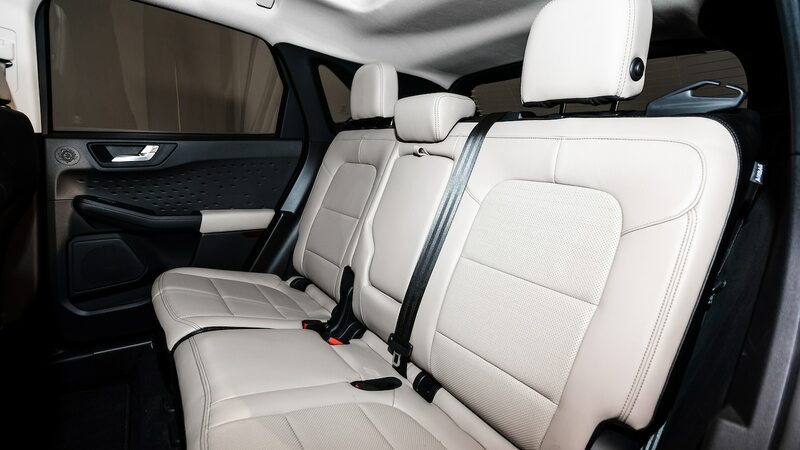 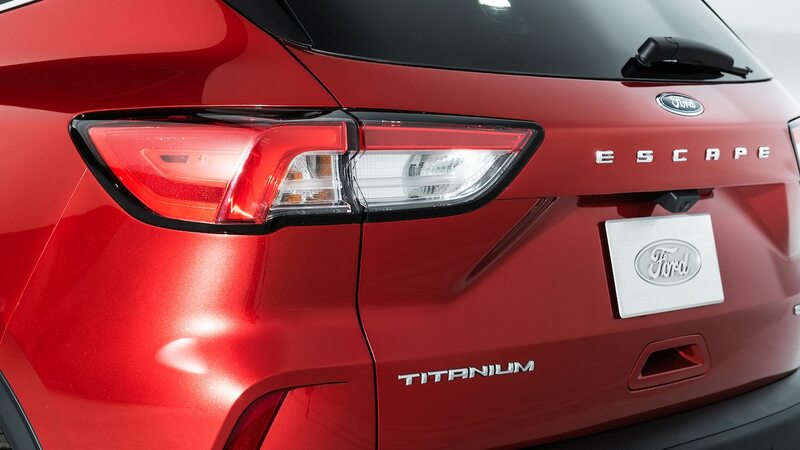 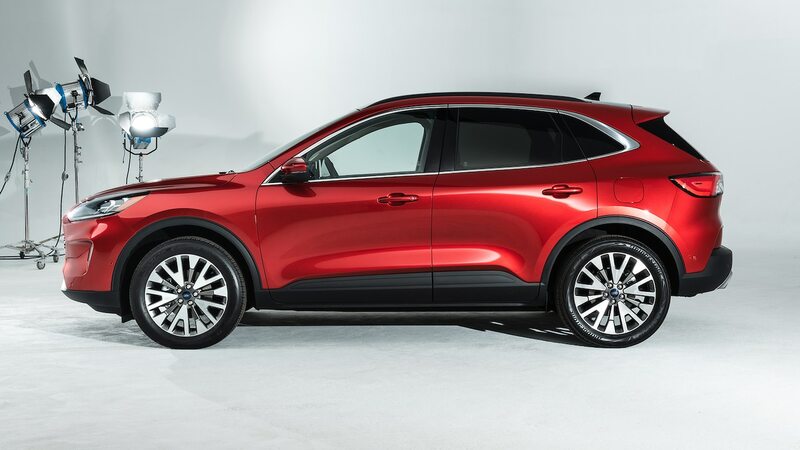 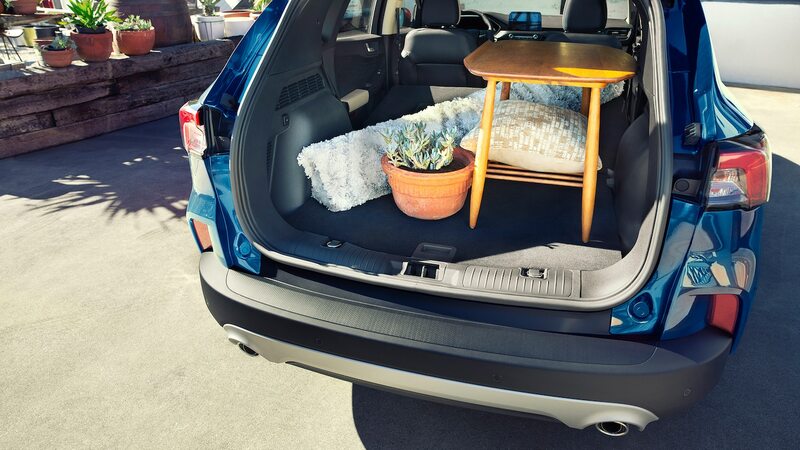 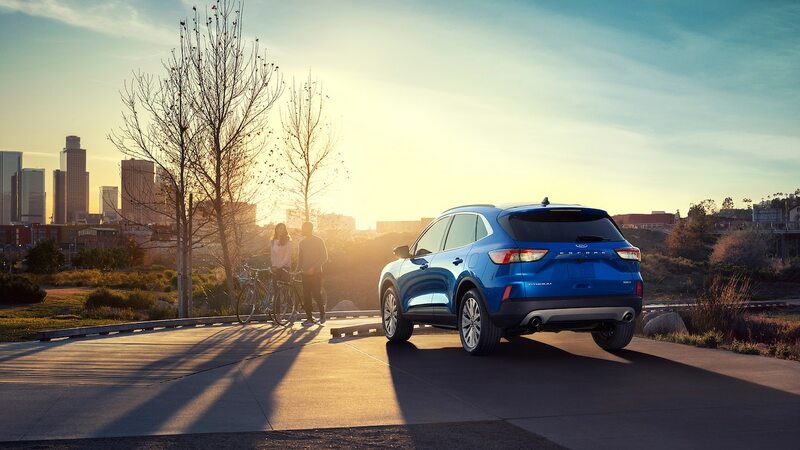 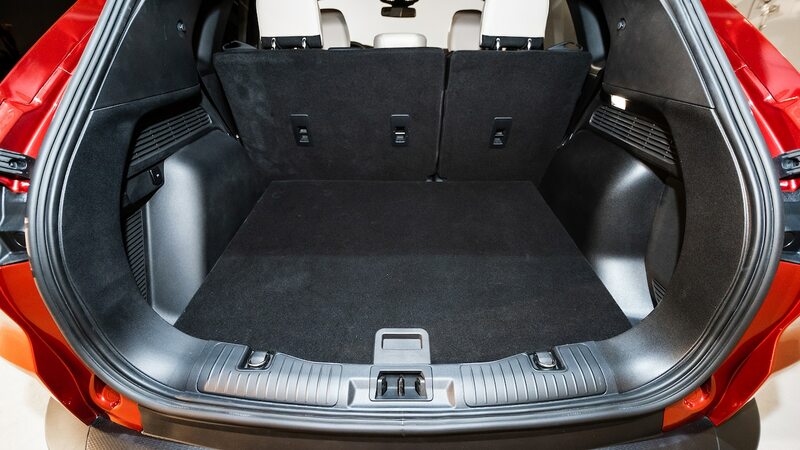 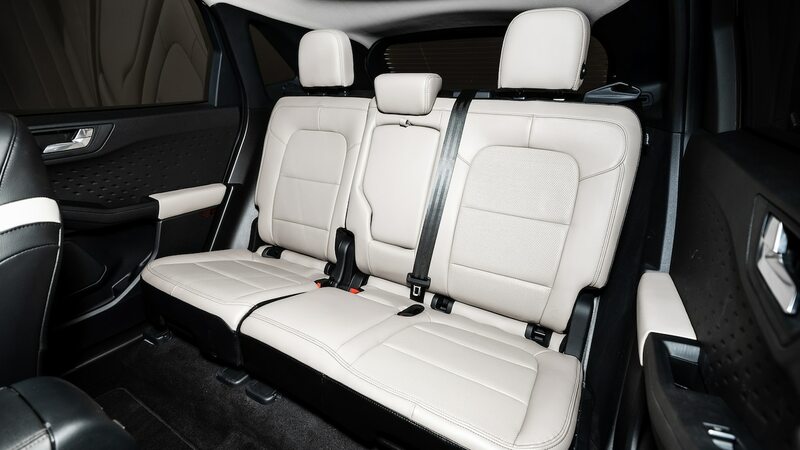 It may not be immediately apparent, but the 2020 Escape is 2.4 inches longer than its predecessor. 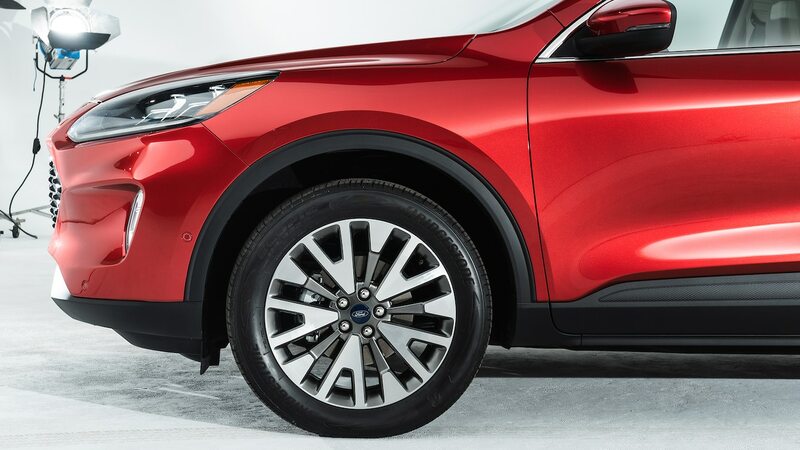 It’s also wider, and just a hair lower. 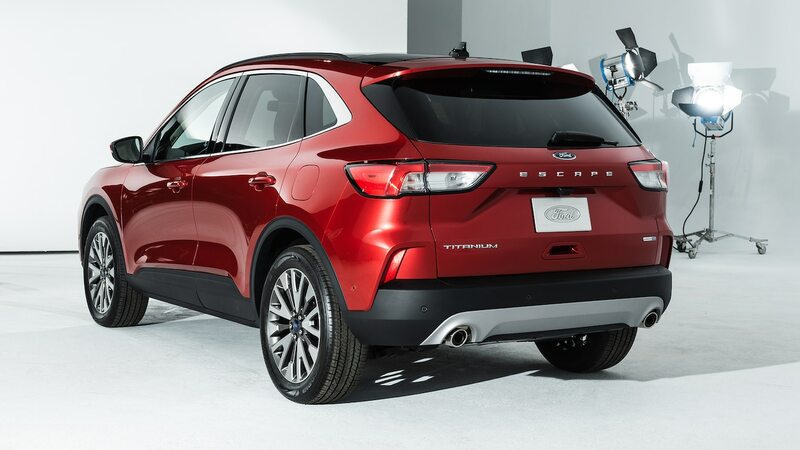 The rear actually doesn’t look too much different than before. 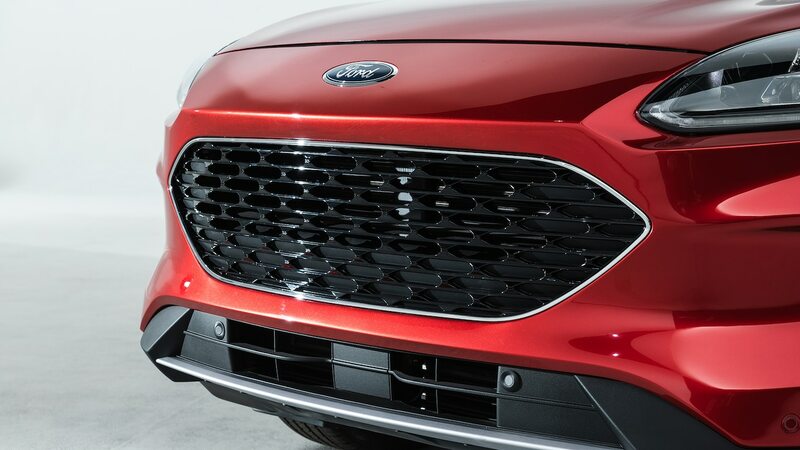 The license plate holder looks familiar, and the bumper holds its shape for the most part. 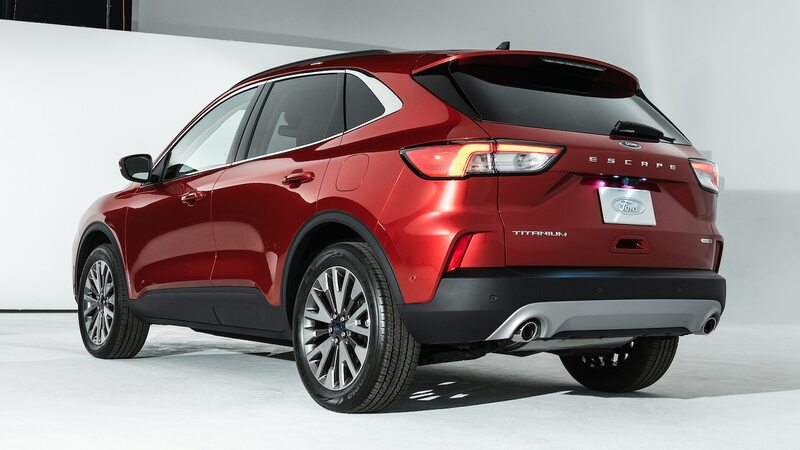 A grab handle for the liftgate is still placed low on the rear fascia. 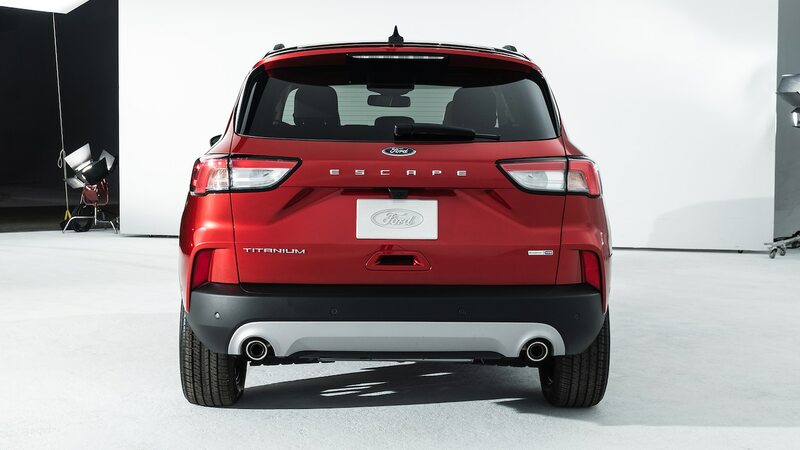 The most obvious change is the new taillights, but Ford also rearranged other lighting elements here. 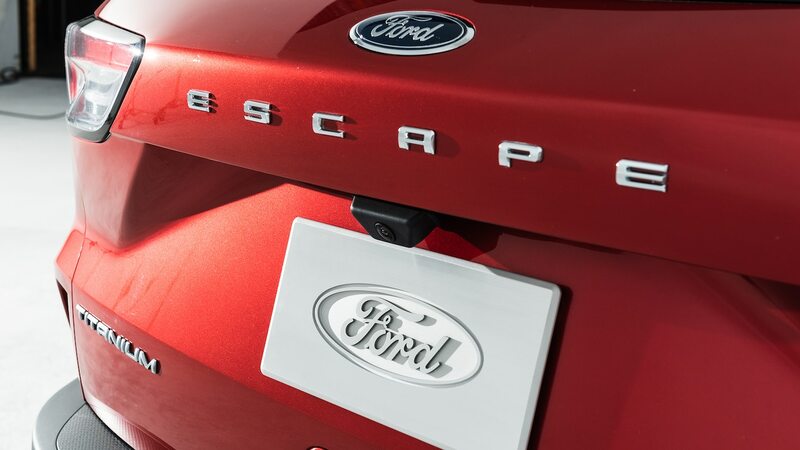 The Escape was starting to look pretty ancient inside the cabin. 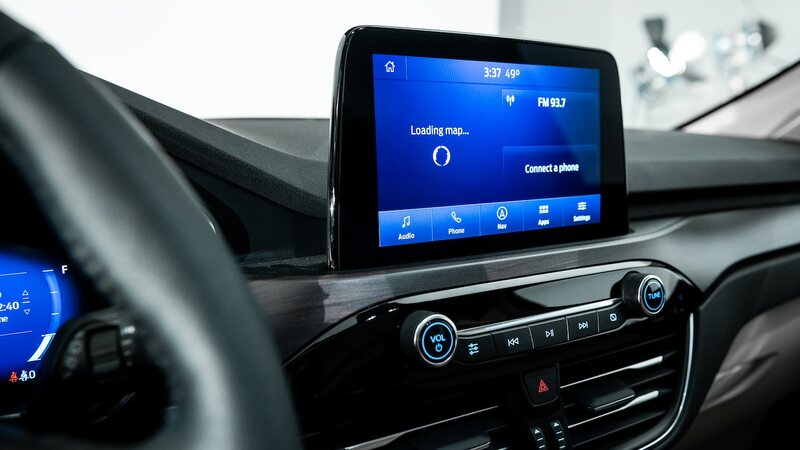 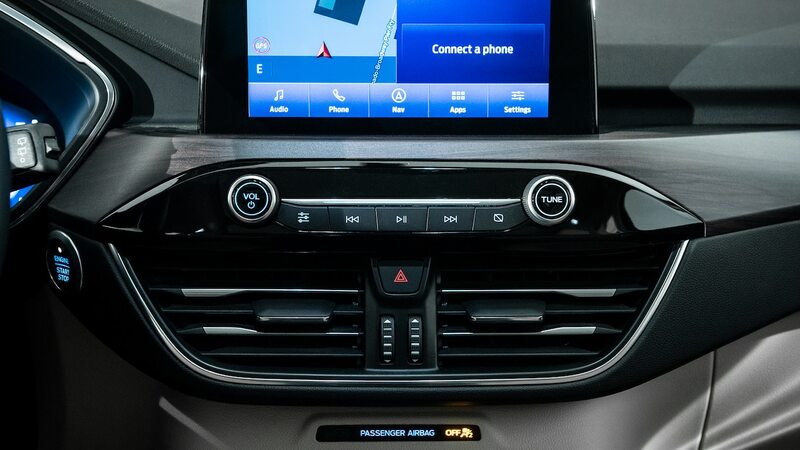 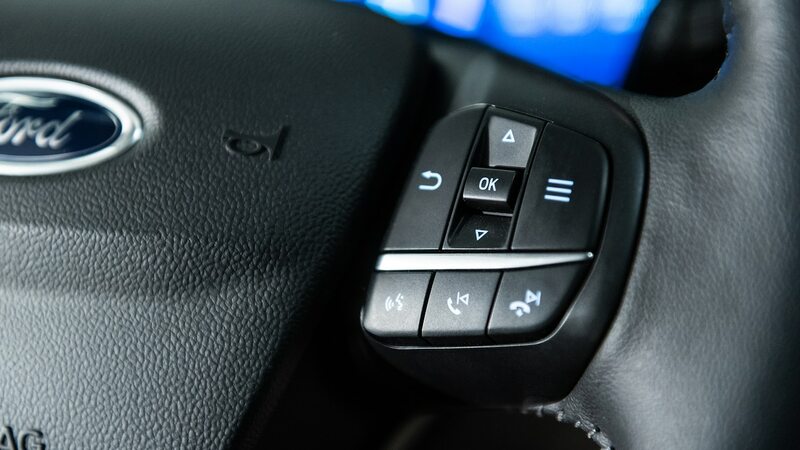 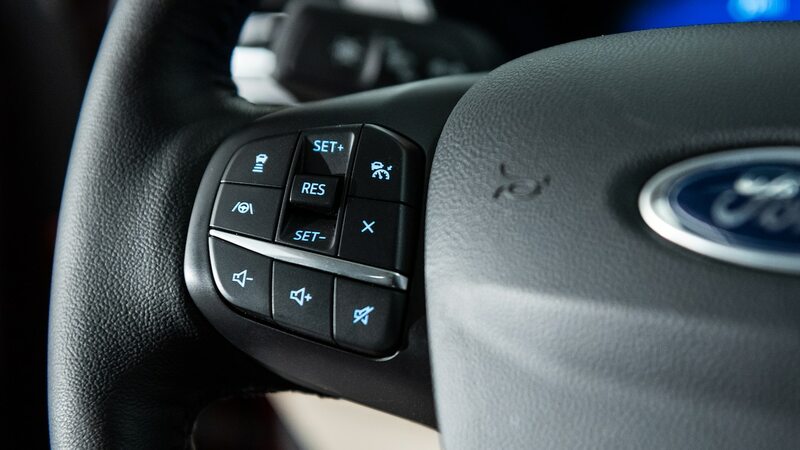 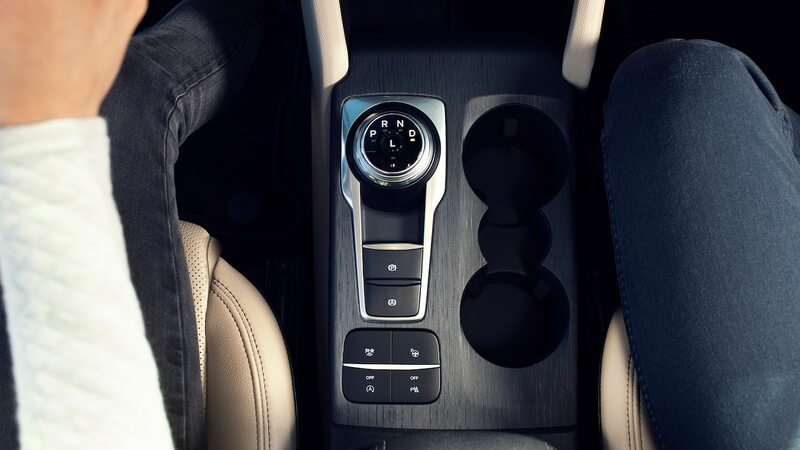 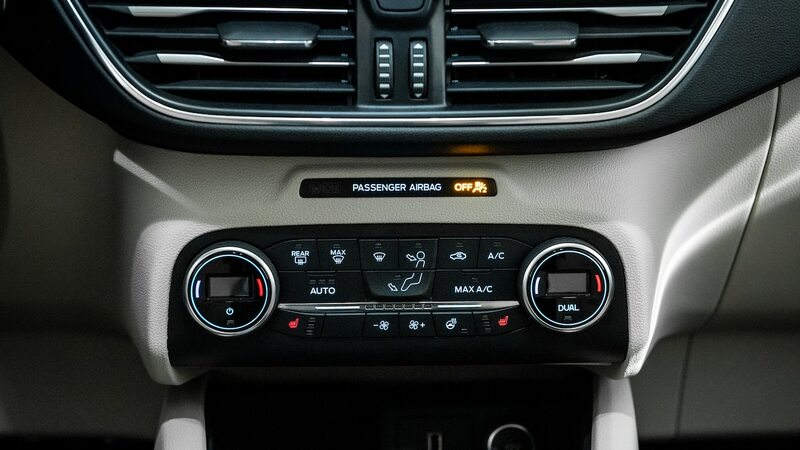 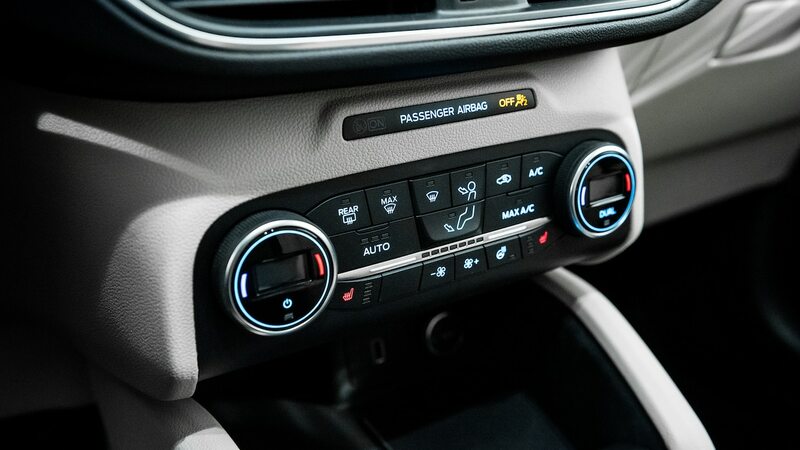 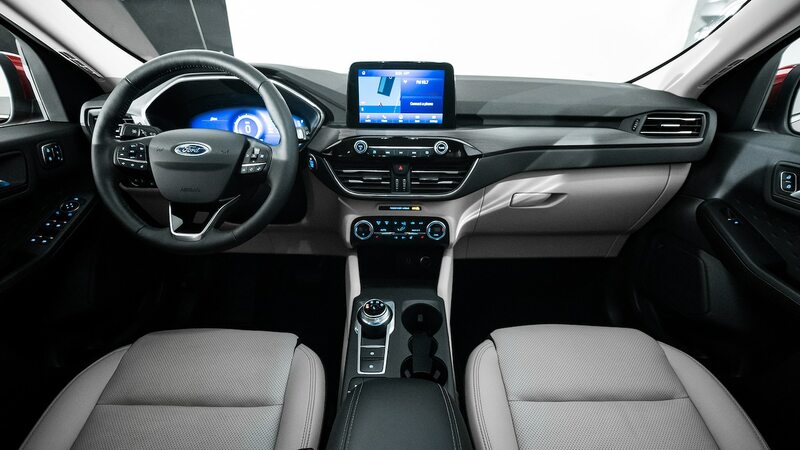 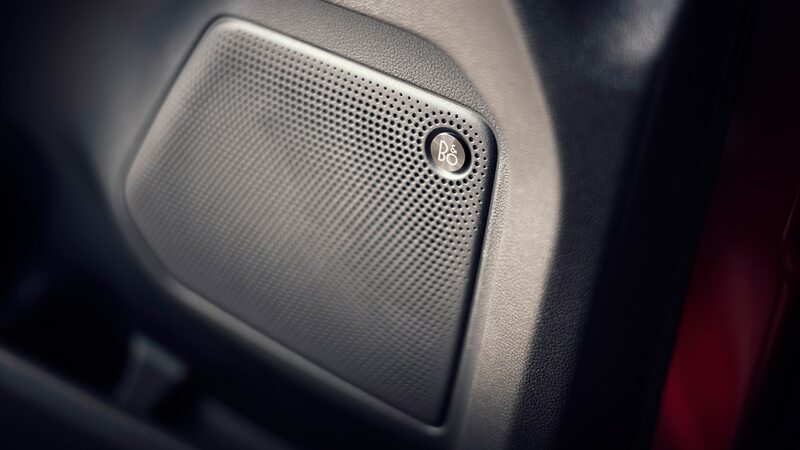 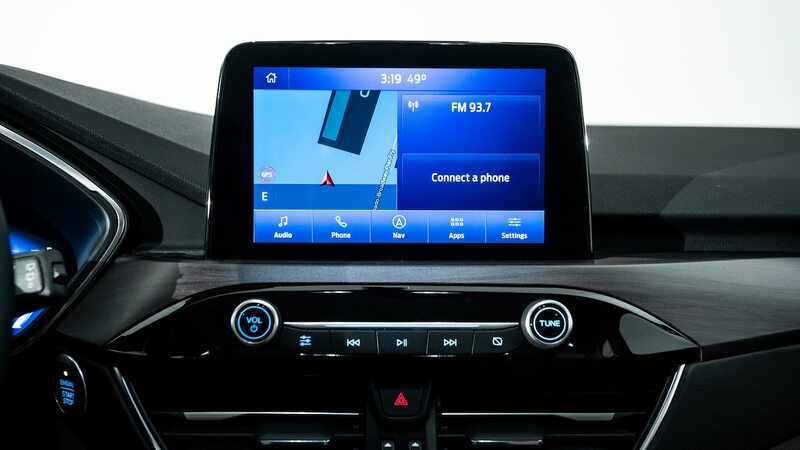 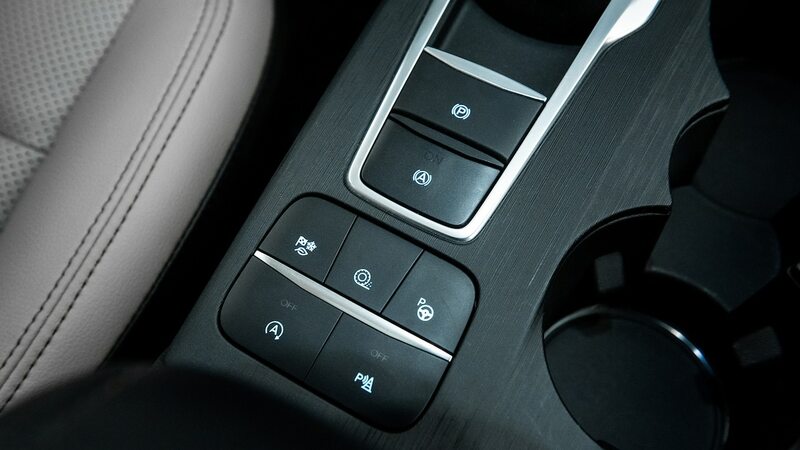 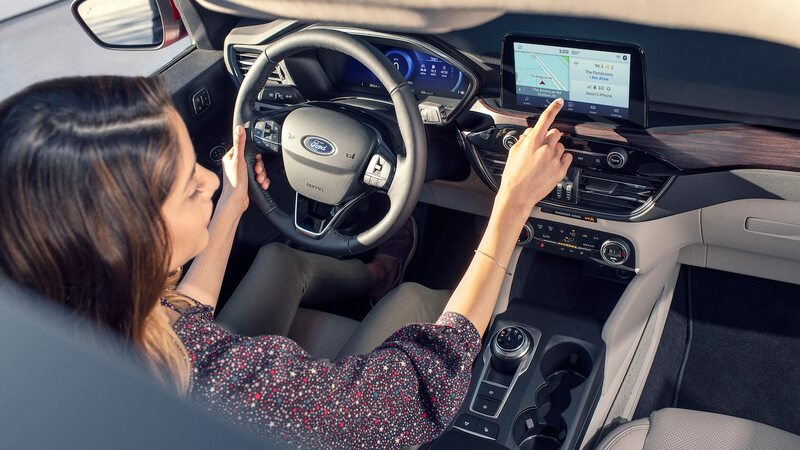 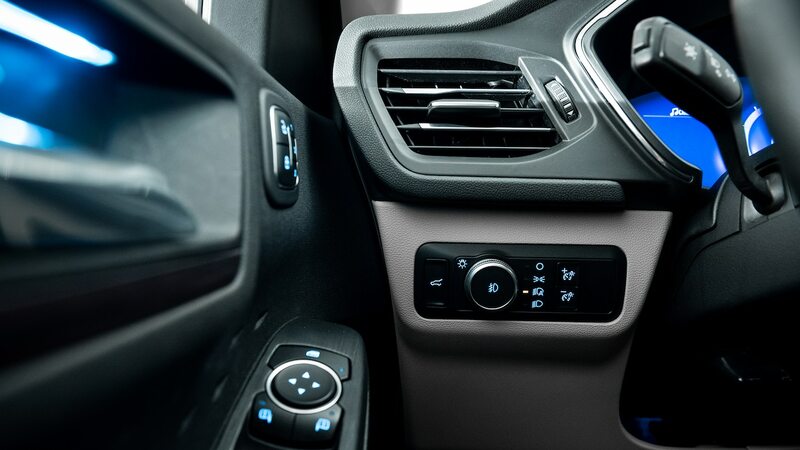 Fortunately, the new model loses the clunky infotainment setup of the old model for a new system. 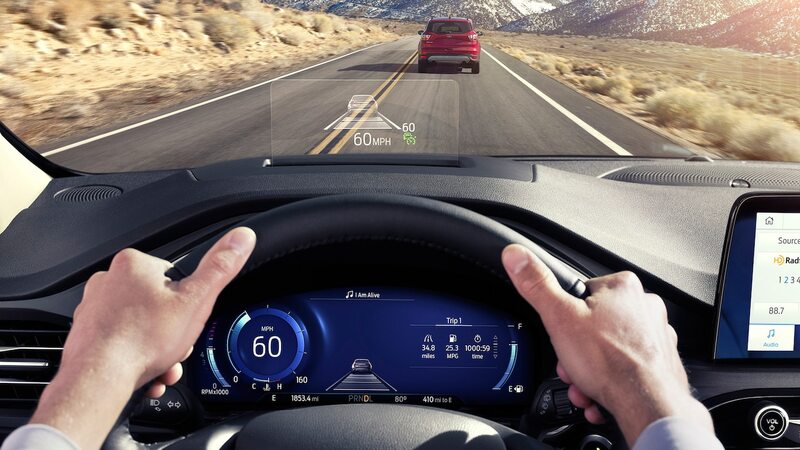 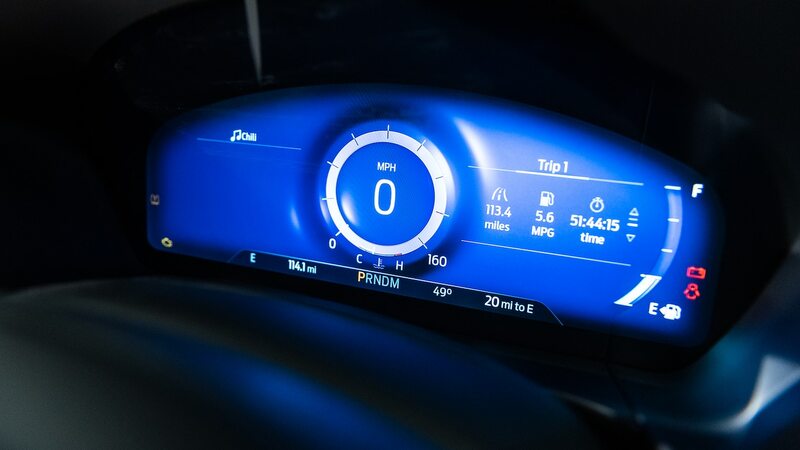 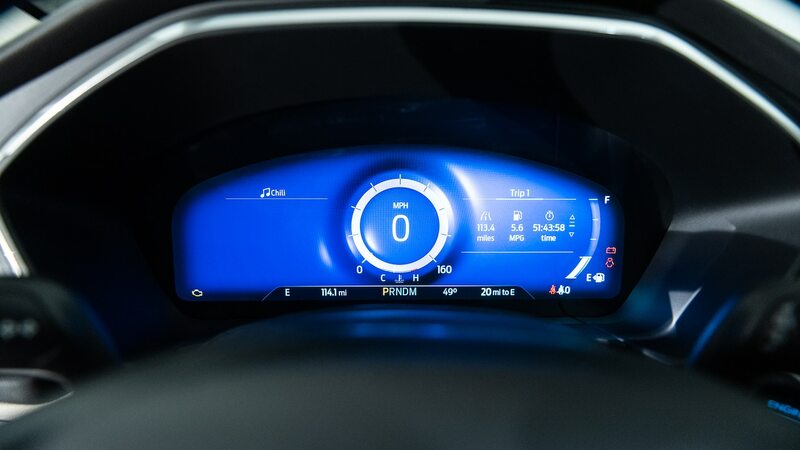 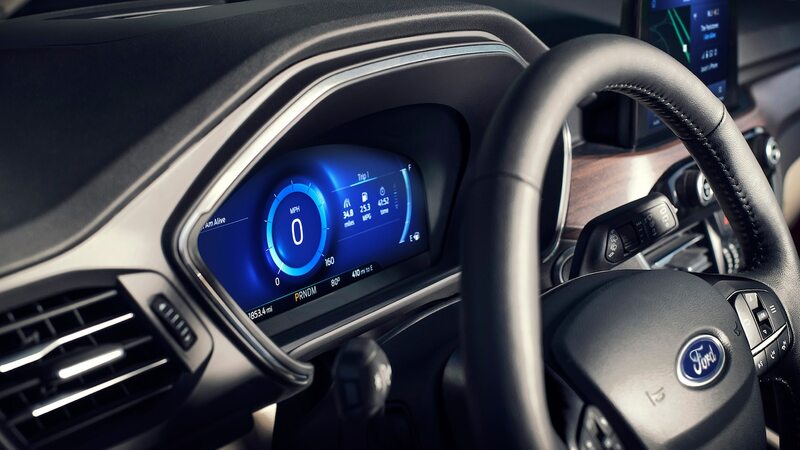 There is also a new optional 12.3-inch digital instrument cluster just in front of the driver. 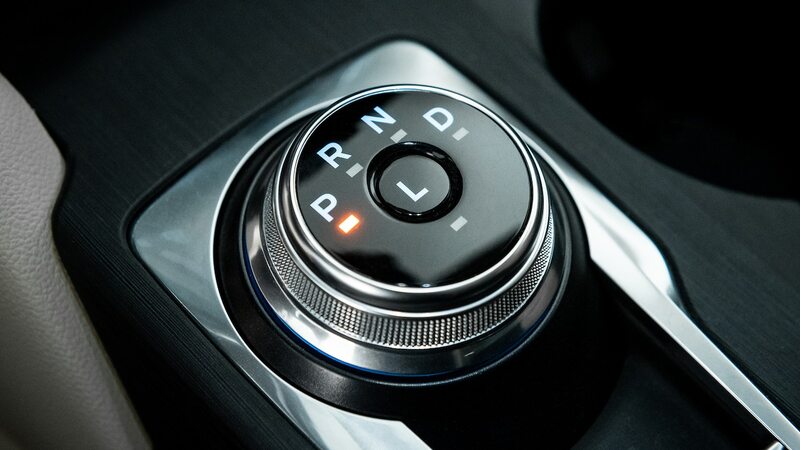 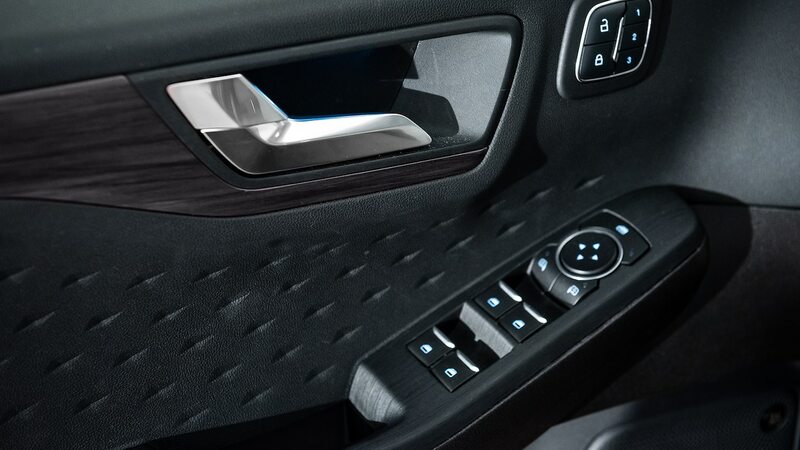 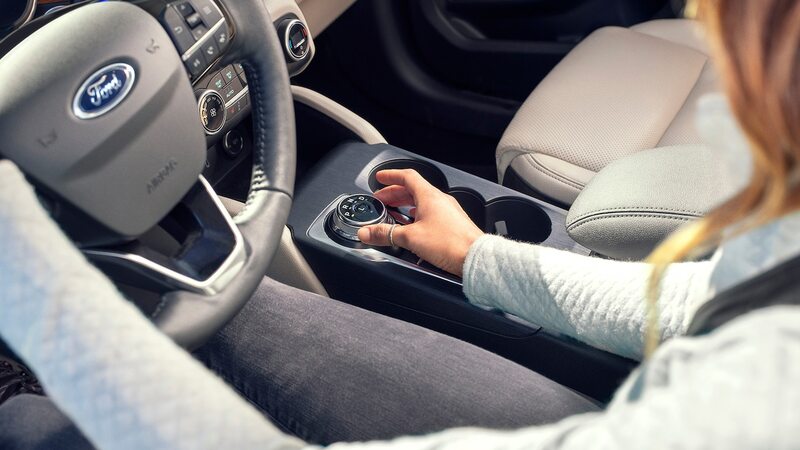 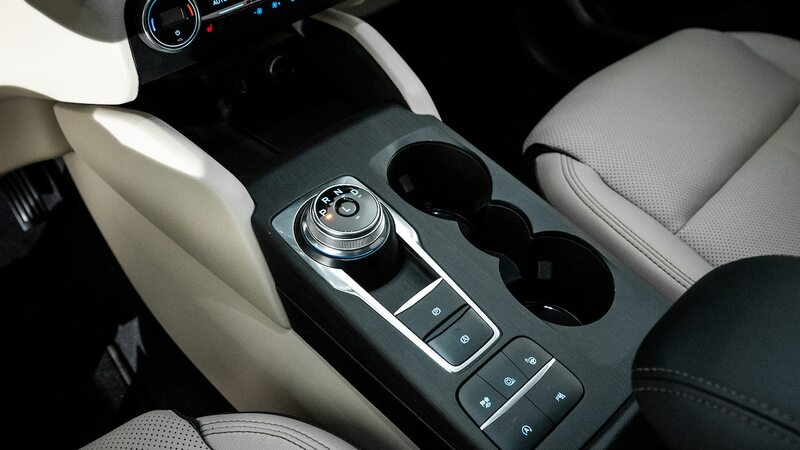 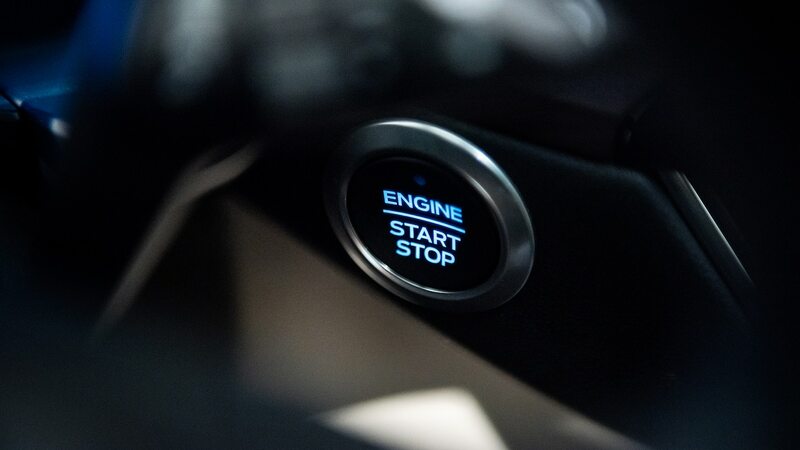 The control setup is no longer bamboozling, and a rotary gearshift frees up space once taken up by a gear selector. 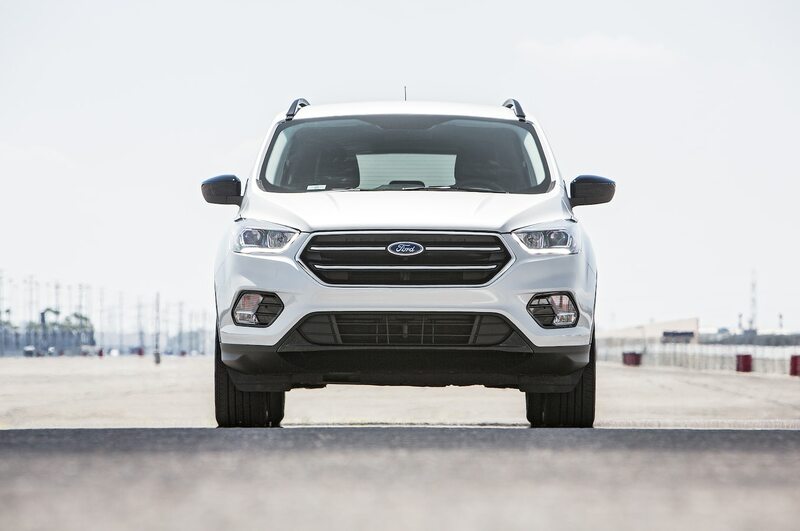 Ford says to expect more headroom, shoulder room, and hiproom in both rows. 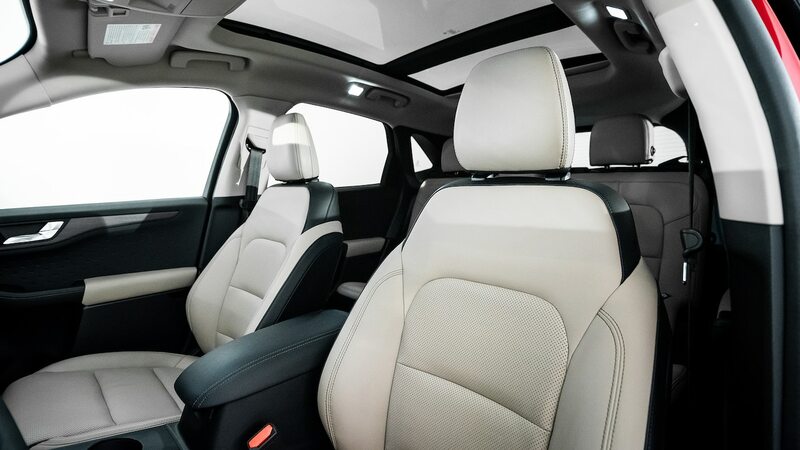 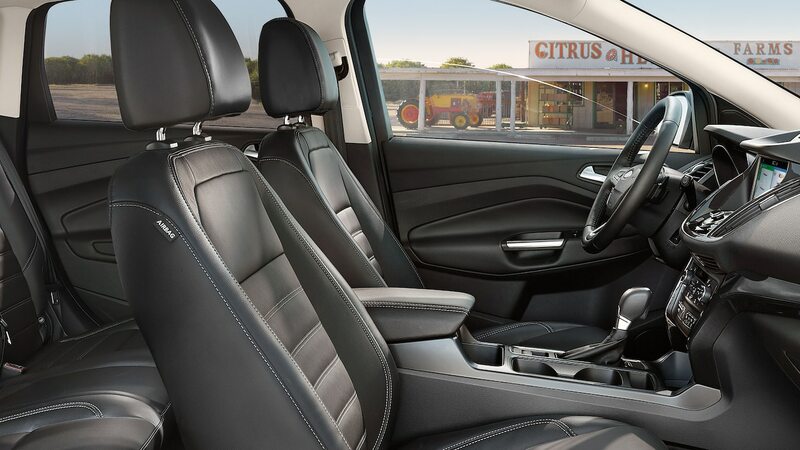 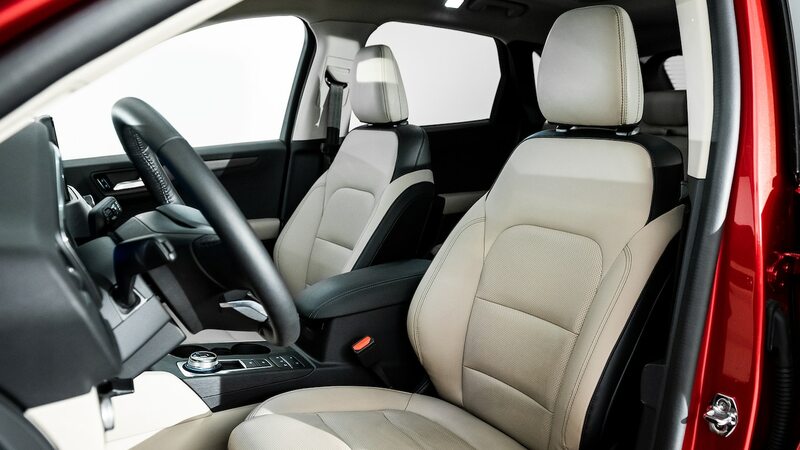 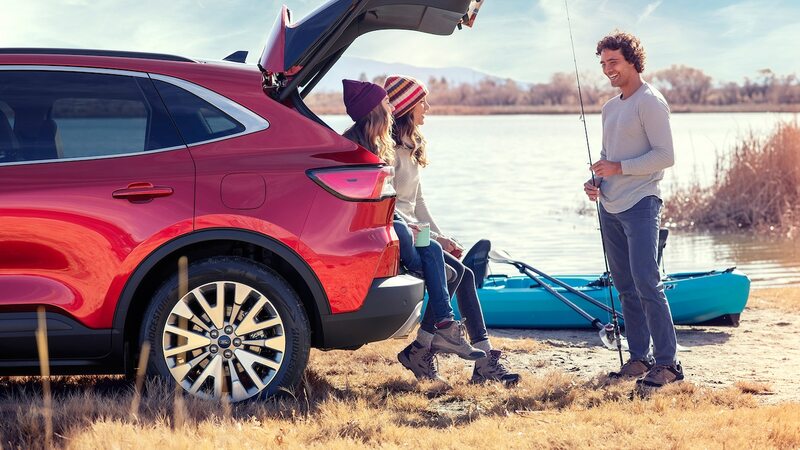 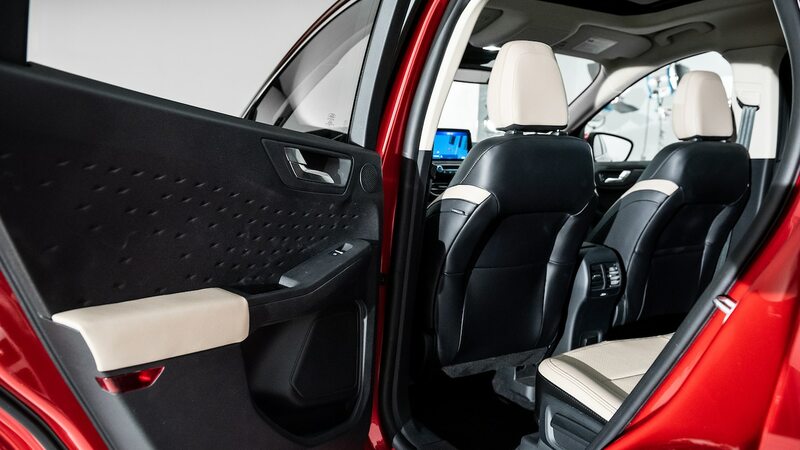 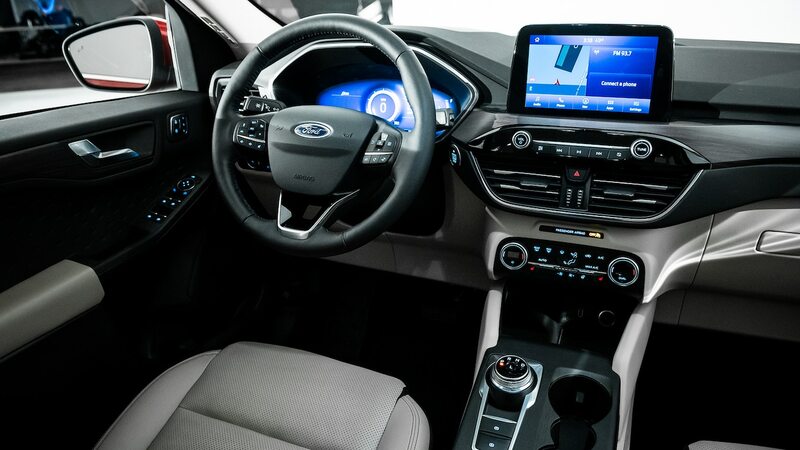 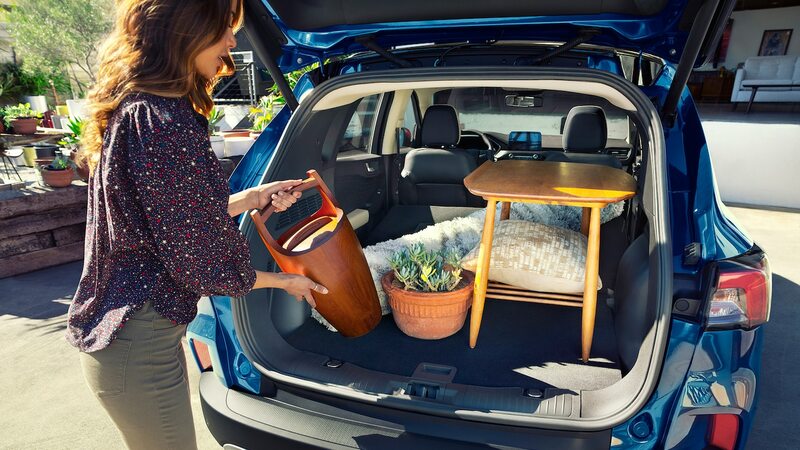 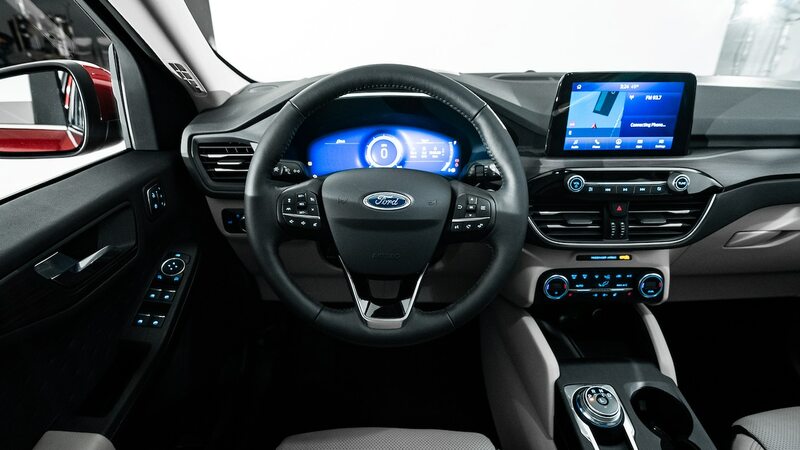 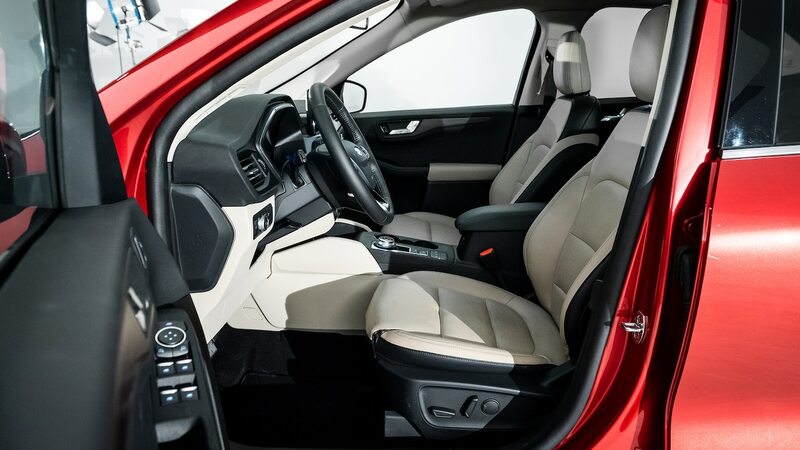 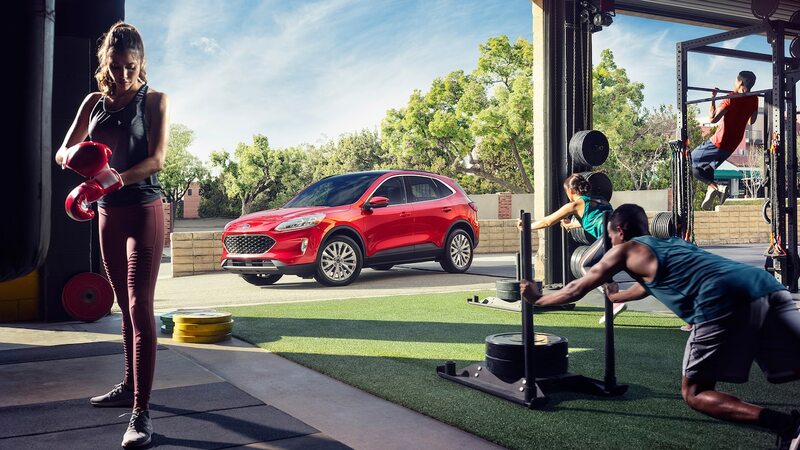 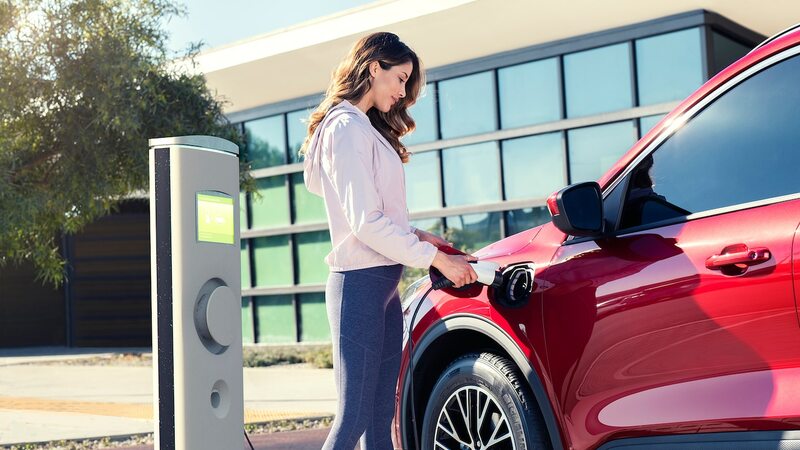 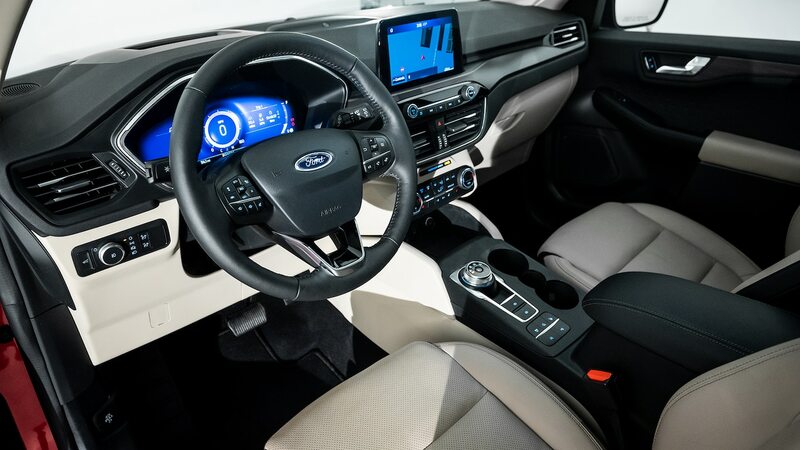 Do you think the 2020 Ford Escape is refreshing or revolting? 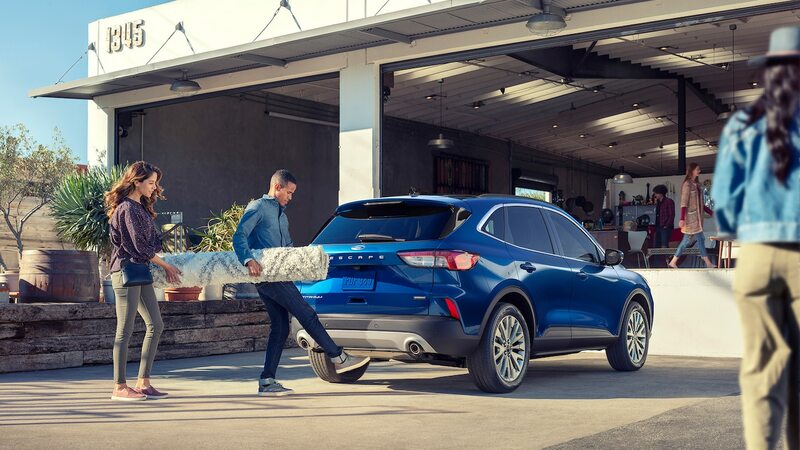 Let us know in the comments on Facebook.